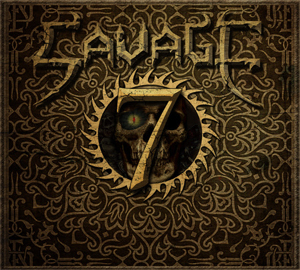 NWOBHM act SAVAGE will release their brand new studio album, 7, on October 9th via Minus 2 Zebra Records (distributed by Plastic Head). The double disc release will include a complete live album entitled Live N Lethal on the second disc. SAVAGE, once credited for influencing METALLICA to play fast. Even though the band has often been linked to the NWOBHM movement, their roots are more in the vintage classic rock with a modern feel. Influences such as THIN LIZZY and DEEP PURPLE abound and yet with new material they sound incredibly contemporary and fresh. Their debut album, Loose N Lethal (from 1983) became a classic and was the biggest selling independent import into US in it’s day. The band have had a stop-start career but came back with a vengeance in 2012 with the epic album titled Sons Of Malice. The band has been busy ever since on the live scene in the UK and Europe, and most recently an Italian tour earlier this summer. The classic debut is now given a fresh and live treatment in the form of a recently recorded live gig in their hometown. 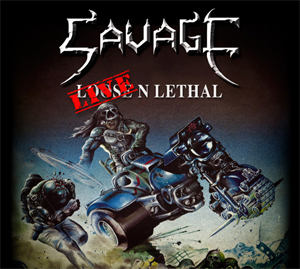 In addition to this, SAVAGE has been hard at work writing and recording set of new classics on this double release. The album titled 7 features 12 blistering new tracks, which mix old with new. Many of the tracks are fast paced and hark back to the early days, whilst tracks such as "Superspy" and "Empire Of Hate" sound akin to something off a modern Ozzy album or even METALLICA at their best.